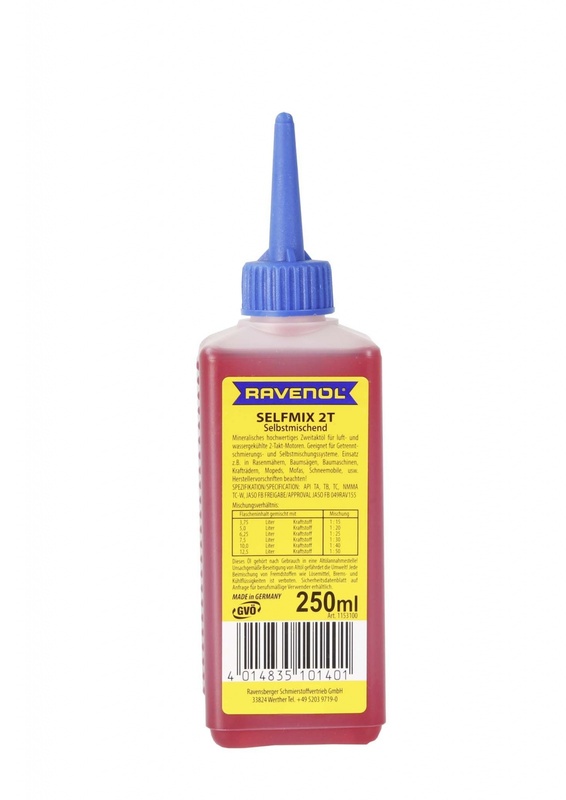 RAVENOL Selfmix 2T is specially designed for universal use in motorcycles which have separate lubrication and self-mixing systems. When used in separate lubrication systems this product will ensure optimal lubrication and minimizes smoke to help protect the environment. It is suitable for air-cooled as well as water-cooled two-stroke petrol engines in motorcycles, mopeds and scooters, as well as for other equipment such as lawnmowers etc.